The book is divided into three parts. The first part of the book illustrates the basics of Isopathy, its concepts and history. 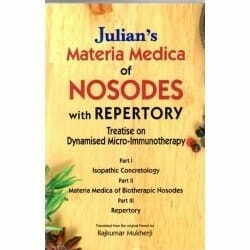 The second part of the book enlists the therapeutics of more than 60 remedies (nosodes) and the final third part illustrates the Repertory.